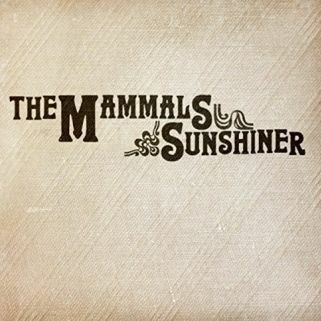 Joining a long line of Roots musicians pissed off with the ways of the world, The Mammals return with a new album (Sunshiner) on a mission and on message as they hammer in lessons learned on an equally pummeling beat with “Open the Door”. Sunshiner basks in the glow of warm playing and letting go of fear (“Lilac Breeze”), hushes the instruments to stage the one-to-one pledge of “Big Ideas”, feels the current in “The Flood”, matching the force with runaway rhythms, and sets up a Country jamboree at “Fork in the Road”. Gathering in Woodstock, New York, The Mammals have very specific goals…they are here to change the world. Jugband Zydeco carries “Doctor’s Orders” and country wisdom is carved into the mountain Folk of “My Baby Drinks Water”, The Mammals spin a style song-wheel for Sunshiner. The album finds itself in a “Culture War” as the band sets up for a front porch Folk jam in “Make It True”. The Mammals look to the future to sing about a better world and opt to burn out rather than fade away like a “Maple Leaf” while Sunshiner tenderly picks out acoustic Folk to hear “When My Story Ends” and makes plans for a solo performance into the wee hours with “Stayin’ Up Late” on a Blue-Jazz piano. 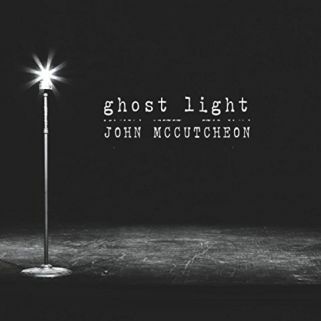 On his recent release, Ghost Light, John McCutcheon turns his eye to a one-year old discovering rhythm and what she can do with it in “She Just Dances”. As her family watches the magic, John McCutheon snaps an audio lens to stop the clock at a time when all that matters is the moment. The haunting that happens in the title track for Ghost Light recalls spirits left in an empty concert hall, the story staged in song as the title track shows itself as a flickering in the dark with brightly shining memories. The words of Woody Guthrie rise up once again in “The Machine” to stand against fascists and other perpetrators of hate. One line was the catalyst for John McCutcheon, the spark lighting the songs for his thirty-ninth album beginning with the statement running through his mind, ‘Billy didn’t come home last night’. The answers to the who, where, what, and why came in the thirty songs collected in twenty-five days, pared down to the thirteen cuts on Ghost Light, twelve originals and one co-write with a newly found fragment from Woody Guthrie, John McCutcheon adding words and music to “When My Fight for Life is Over”. Fortified by the causes of a Folk Singer, Ghost Light enters on a Country reel and a happy note with album opener “A Perfect Day” as John McCutcheon paves “This Road” for a returning soldier, sees hope in the darkening clouds of “Waiting for the Rain” and relates the fate of Billy as the album’s muse heads into “Dark Side of This Town”. 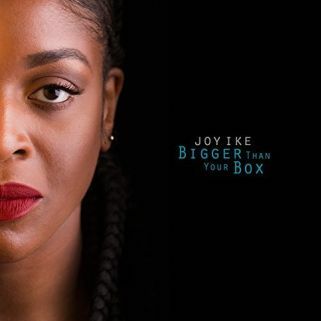 The polish that Joy Ike uses to shine her recent release, Bigger Than Your Box, comes directly from the meticulous attention she pays to the placement of each note and chord. Foregoing the need to put a false glow on the music with studio techniques, Joy Ike arranges her songs as individual works of fine art, accenting the Samba-strong percussive presence in “Give a Little’ with tasteful touches of accordion, scatters freckles of piano notes as an intro to “Hold On” before the undertow beat pulls in the rhythm, and quiets to hushed harmonies and a triphammer patter to admit “I Don’t Know Anything”. Creating magic that lifts up spirits, Joy Ike crafts Bigger Than Your Box with precise grace. She lets her vocal languish a beat behind the cadence of “Walk”, Joy Ike floating on the airy opening of “By the Fire”, spitting out words across the caffeinated overdrive rhythms, whispering her message on the Jazz-toned beats of “Say Goodbye”, and pounding in the tough love message of “You Betta’” with demanding drumbeats. Sparking electricity with raw Blues, Tail Slim and the Taildraggers bring competition for the High Desert Heat of the recent album title. 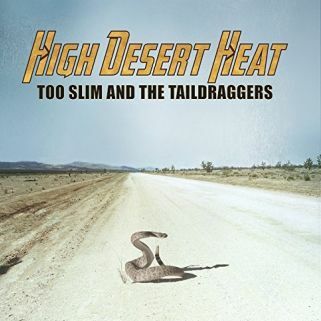 The tone for High Desert Heat is dictated by the guitarwork of Tim ‘Too Slim’ Langford, his playing coming in quick jabs and chord slashes (“A Little More True”), framing Blues Rock with angular rhythms (“Broken White Lies”), poking at the solid backbeat of The Taildraggers (“What She Said”), and slowly spewing thick clouds of notes that echo across the title track. High Desert Heat sizzles and crackles with the Blues Rock that Too Slim and the Taildraggers have honed. A rolling rumble rises from the slow-grind groove of “Lay Down Your Gun” as High Desert Heat matches riffs with harmonica and guitar for “Trouble” and relates “Stories to Tell” on a pounding Blues beat while Too Slim and the Taildraggers strut out on southern rock for the inspirations of “One Step at a Time” and re-work The Chamber Brothers’ “Time Has Come Today”. 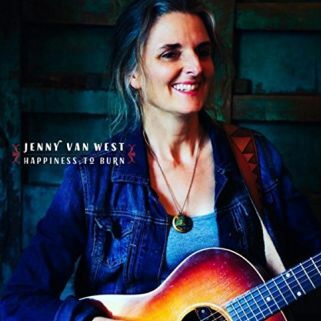 A rich depth in the vocals of Jenny Van West provides a warmth for the songs on Happiness to Burn, her recent release. Over unraveling rhythms she admits to timing being the key to unlocking love in “Can’t Have You Now”. Jenny Van West picks out Country notes to give a tiny voice a platform for hope in “Never Alone”, offers advice on the rhythmic sway of “Empty Bowl”, and strums up a bouncing beat to give the heart on her sleeve a song in the title track. Happiness to Burn is album number two for Jenny Van West, the Portland, Maine-based artist heading towards the sun to record the album in Los Angeles with Shane Alexander producing as well as backing on vocals and guitar alongside A-list LA musicians including Ted Russell Kamp and Carl Byron among others. Jenny Van West counts out check marks for the plus column with “Twenty-Seven Dollars”, quiets the melody as she sifts through memories and promises in “Embers”, spins a rock’n’roll rhythm to put under “45”, and lays the groundwork for the resolutions in “Live in a New Way” on a solid backbeat.